one shop we need in london, is probably target from the US. they do the most designer collaborations, and we can just never get it in london. 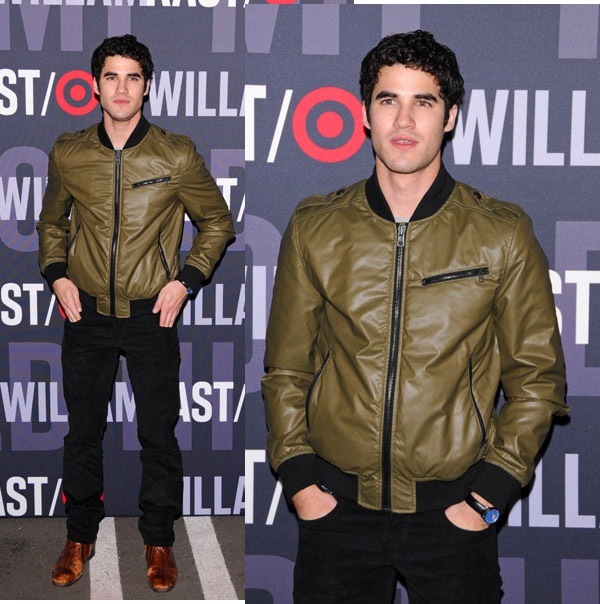 last weekend saw the launch of the los angeles "william rast for target" event, and glee cast member darren criss attended in a khaki jacket from the collection. at first i thought darren was wearing a leather jacket designed by justin timberlake and trace ayala for target, but it's actually a nylon jacket. 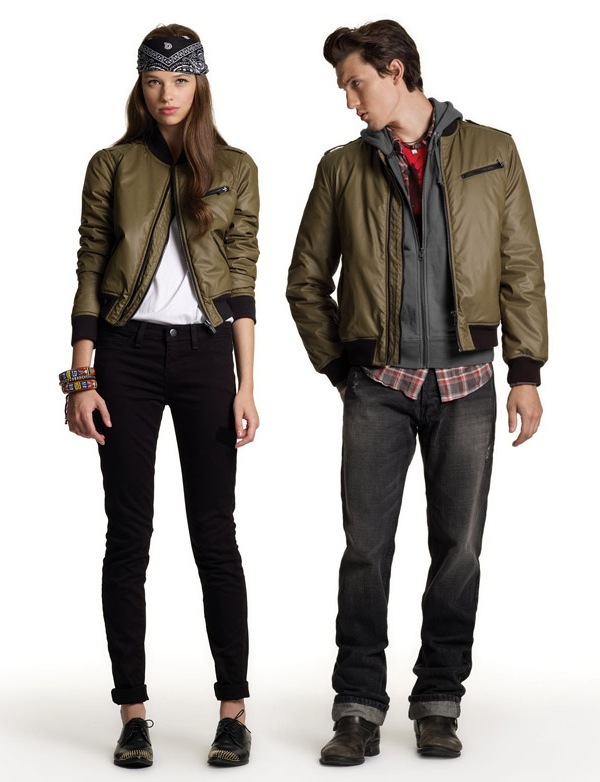 the nylon jacket is one of the pieces that appeared in both the men's and womenswear collections. the jacket will retail for US$49.99, will you hit it? oddly, the jacket looked better on the red carpet than on the lookbook. since we're on the topic of darren criss, here's a rather festive clip of him and chris colfer doing a cover of "baby it's cold outside". i really love his singing, he's what i would call a crooner. half-Filipino and very very cute! Don't get too excited about Target's collaborations many times they are nothing to write home about. oh fudge: oh he's half filipino?? the things i don't know i don't know. his voice is amazing. yeah. his mother is Filipino. at US$49.99 it is such a bargain! is it even possible to get my hands on this in the uk? the jacket is awesome. love the color and the length. it does look like a leather jacket at first glance. ...love the male hand photoshopped onto the female model...who comes up with this stuff?!?!? oh yea it does seem quite big now that you mentioned it! I'm not a fan of William Rast just because I find it to be rehashed versions of clothes that came out three seasons ago, but I will back up Target! Target is a sleek and clean store that honestly sells over-priced accouterments (you can find the same product for much cheaper at other grocery marts) to the gentrified middle-class public, but their collaborations are AMAZING! No other store can really compete. I have a couple of pieces from their collab with Rodarte last year, and they're still in great condition, and look amazing. When it comes to their collaborations with the designers, Target keeps up with integrity! They don't skimp on the cheap material, and the pricing is right on!